Although there is a rich diversity in superyacht interiors, we do see much of the same immaculate finishes aboard the world’s fleet.. 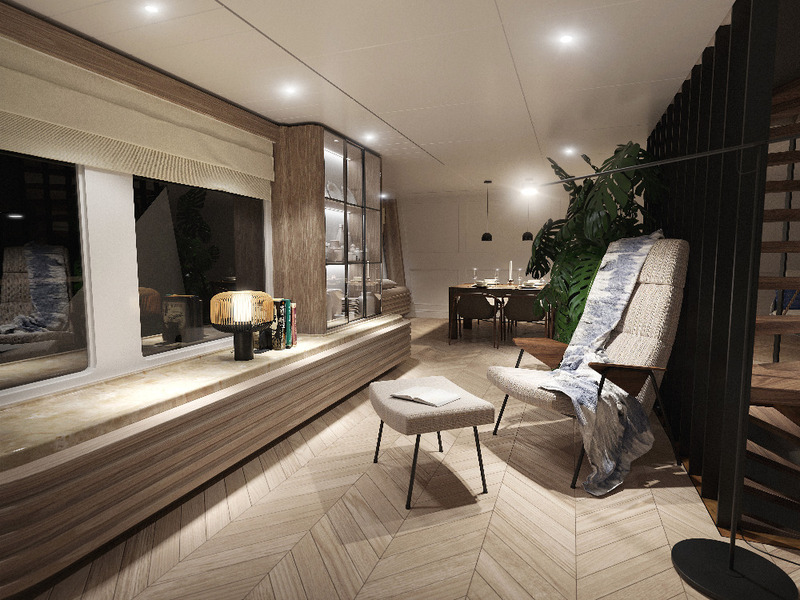 But, every so often, a design studio turns the classic superyacht interior on its head by introducing something completely different, which is what Dutch design studio Vripack has done with its latest interior project M5. Designed for a South American owner and family, Vripack has created a bright and naturally- textured interior to match the family’s lifestyle. A ‘beach-house’ finish is certainly a term that encapsulates the yacht’s more natural interior styling, promoting a more relaxed feel on board. A sporting and outdoorsy lifestyle led by the clients was central to all discussions during the design phase. 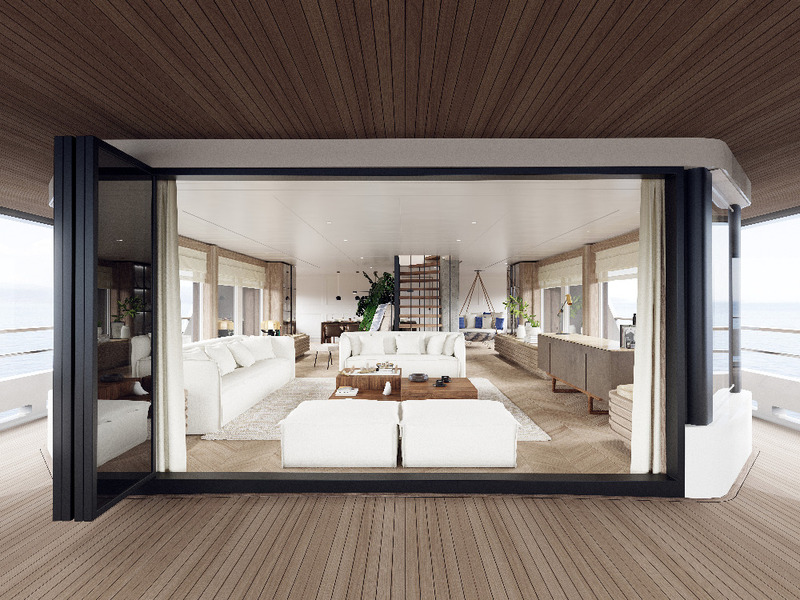 As a result, it was decided that interior should be made up of natural finishes, which brings an outside feel to the inside the yacht. 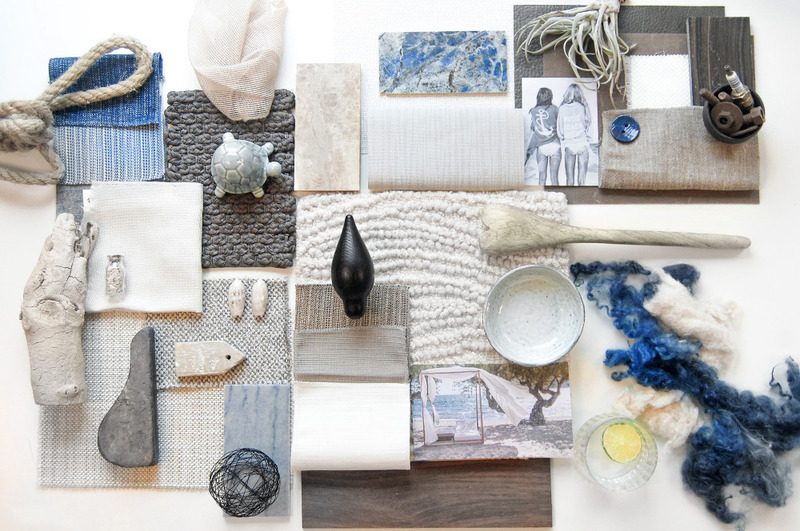 While the interior styling has been compiled to promote this light, ocean-inspired, beach feel, – as per Vripack’s mood board shown in the slider above –the materials all play their own part in adding some more personality into the yacht’s interior. As per Hoekstra’s comments, upcycled features such as the flooring and tables have a unique story, which brand new items can’t quite give you. 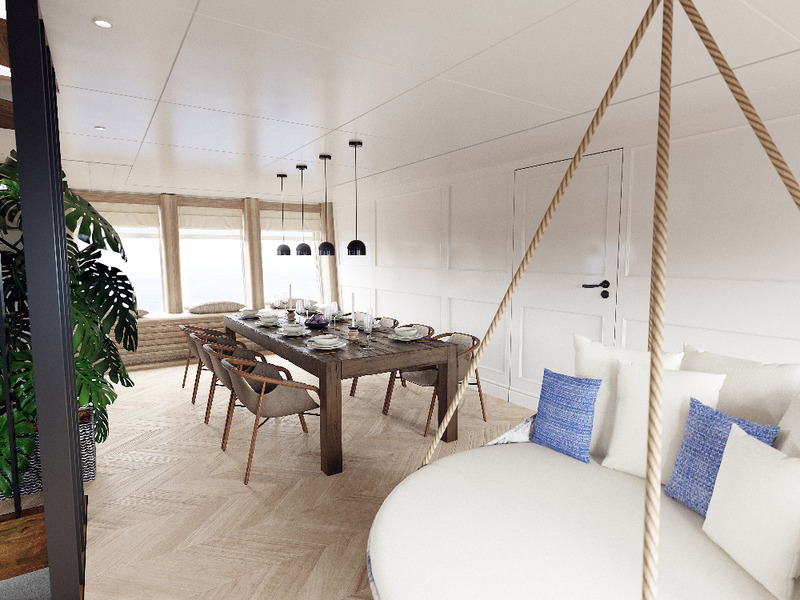 Perhaps this more natural approach to superyacht interior design may take a while to become a prominent trend in large superyachts, which often call for a much more pristine finish. However, it will be interesting to see how this un-glossed finish develops in the industry.